Amazon is here with a great deal offering Graco Stroller Fast Action Fold Ocean Grey (Ocean Gray/Black) at Rs 7209. Accepts all Graco click connect infant car seats with a secure one step attachment one second, one hand fold with carrying strap lightweight. Grab Now..!! 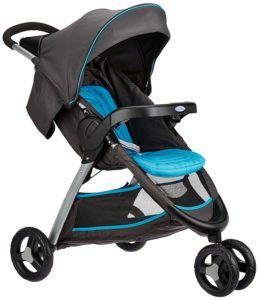 How to Buy Graco Stroller Fast Action Fold Ocean Grey ?